An A5 booklet containing the Small boat, great big sea Communion liturgy published in Celtic Daily Prayer Book 2: Farther Up and Farther In Suitable for use by groups and churches wanting to share together this powerful liturgy, inspired by the story of Brendan and his companions answering the call to risky living. 10% discount when 5 or more copies are ordered in the same transaction. 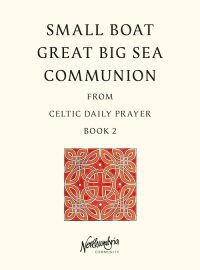 The ebook also contains the Scriptures for each day's readings in full from the New Revised Standard Version Bible and music from the Celtic Daily Prayer CD (though the music files will not play on all devices). A folded A4 card with the words of the Daily Office (Morning, Midday and Evening Prayer) from Celtic Daily Prayer. This is a handy resource to carry in your pocket or in your Bible. 10% discount when you purchase 5 or more. 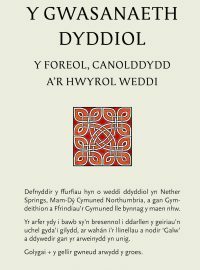 Defnyddir y ffurfiau hyn o weddi ddyddiol yn Nether Springs, Mam-Dŷ Cymuned Northumbria, a gan Gymdeithion a Ffrindiau’r Gymuned lle bynnag y maen nhw. These trifold A4 cards are also available in English. 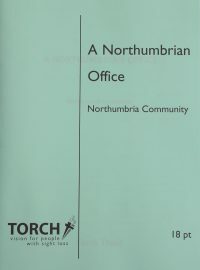 An A5 booklet with the liturgies (including the melody line of the music) for Morning, Midday and Evening Office plus the Meditations for each day of the month from Celtic Daily Prayer Book 2: Farther Up and Farther In. 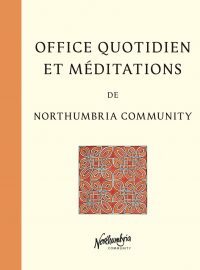 Also available are Braille, Large Print (18 pt) and Giant Print (24pt) versions of the words of the Office and a separate booklet with the words of the Meditations from Celtic Daily Prayer Book 2. 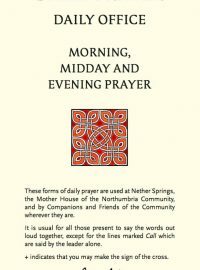 An A4 large print (18 pt) booklet with the liturgies for Morning, Midday and Evening Office plus the Meditations for each day of the month from Celtic Daily Prayer. Can also be purchased in Braille (Grade 2 Braille), Giant Print (24pt) and normal print versions. 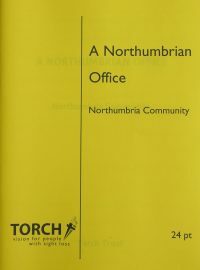 An A5 giant print (24 pt) booklet with the liturgies for Morning, Midday and Evening Office plus the Meditations for each day of the month from Celtic Daily Prayer. Can also be purchased in Large Print (18 pt), Braille (Grade 2 Braille) and normal print versions. A Braille (Grade 2 Braille) booklet with the liturgies for Morning, Midday and Evening Office plus the Meditations for each day of the month from Celtic Daily Prayer. Can also be purchased in Large Print (18 pt), Giant Print (24pt) and normal print versions. An A5 booklet with the liturgies (including the melody line of the music) for Morning, Midday and Evening Office translated into French. 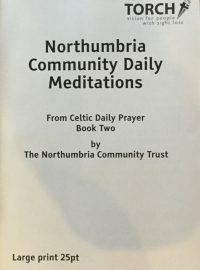 Also included are a selection of 31 of the Meditations for each day of the month from Celtic Daily Prayer Book 1: The Journey Begins, and Celtic Daily Prayer Book 2: Farther Up and Farther In published by Collins and also available from Northumbria Community. 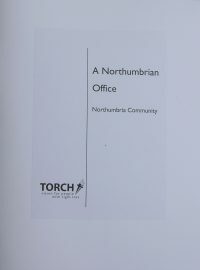 A separate A5 booklet containing the French translation of our Complines is also available from Northumbria Community. It is words only (i.e. no music). 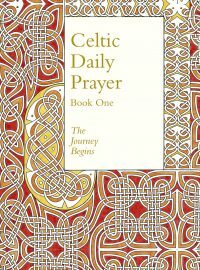 This set of 31 meditations, one for each day of the month, are the new, additional set published for the first time in Celtic Daily Prayer Book 2: Farther Up and Farther In. 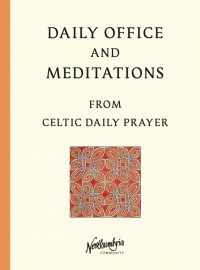 For those unable to read the print in Celtic Daily Prayer, we have these meditations for sale in a booklet form. This product is the Large Print (17 point) version. It is also available in Giant Print (25 point) and Braille (Grade 2 Braille). Please note it contains only the new meditations and no other material. 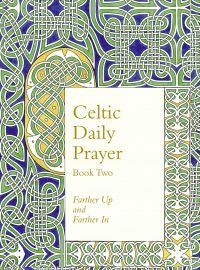 This set of 31 meditations, one for each day of the month, are the new, additional set published for the first time in Celtic Daily Prayer Book 2: Farther Up and Farther In. 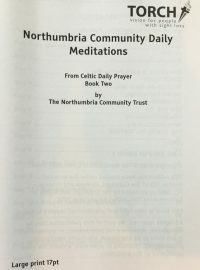 For those unable to read the print in Celtic Daily Prayer, we have the meditations for sale in a booklet. This is the Giant Print (25 point) edition. The booklet is also available in Large Print (17 point), and Braille (Grade 2 Braille). Please note it contains only the new meditations and no other material.